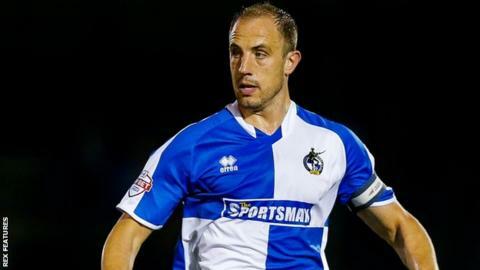 Bristol Rovers defender Mark McChrystal has been released after four years with the League One club. The 32-year-old former Rovers captain helped them to back-to-back promotions in 2014-15 and 2015-16 after arriving on a free transfer in January 2013. He was one of six players told by manager Darrell Clarke that they were free to leave the club in January. The former Tranmere Rovers player made 114 league appearances for the Memorial Stadium outfit, including 107 starts.